Where should I go for a mid week history break? In the UK and Ireland there is an abundance of history just waiting to be discovered. Whether you are fascinated by wars and battles or if you are enthralled by nature, British history has a bit of something for everyone. World heritage sites are dotted all across Britain and are the perfect places to learn what has made this country what it is today. The United Nations Educational, Scientific and Cultural Organization (UNESCO) seeks to protect and preserve such sites, as they consider them "to be of outstanding value to humanity- places or buildings which are considered to have special importance for everyone". National Parks such as the Lake District or the Yorkshire Dales have also been preserved and protected for future generations. There are in total 15 members in the UK National Park family: 10 in England, 2 in Scotland and 3 in Wales. They are the perfect place to relax and enjoy the beautiful countryside, wildlife and cultural heritage that they provide. Castles provide a great way of visually showing how Britain used to be. 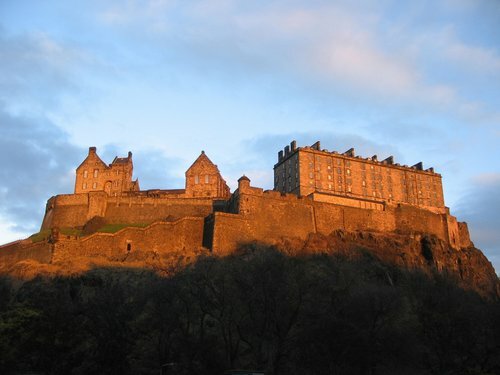 Vast structures such as Edinburgh Castle and Warwick Castle date back to the 12th and 11th centuries respectfully and are packed full of stories from times gone by. Where else can you walk around a building packed full with such history? Guided tours are an entertaining yet educational way of learning about a cities history. There is nothing scarier than walking along one of Edinburgh’s infamous ghost tours and discovering exactly what made the city so haunted. If ghost tours aren’t your thing then cities such as Glasgow and Oxford offer a less terrifying yet still enjoyable and informative way of discovering a city’s history.